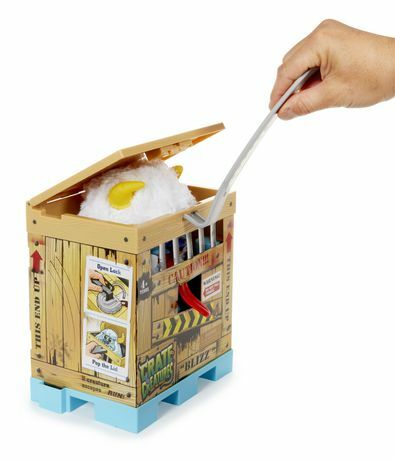 • Use the crowbar to pop the lock and open your creatures crate. • Pull his tongue and creature vibrates, makes fun noises and has glowing eyes. • Motion sensor inside creature reacts when they're upside down, knocked over, or laying down. • Record your voice and creature will play back your message in creature voice! 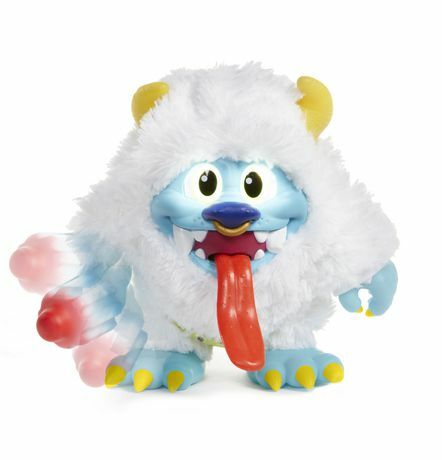 • Each creature comes with 45+ unique creature sounds and with its favorite food, which unlocks chomping sounds when placed in mouth. 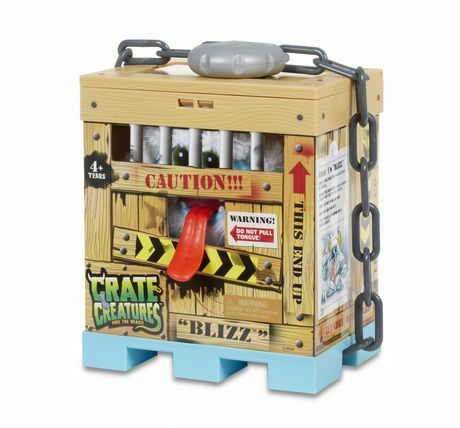 • Includes Blizz, frozen treat, lock and chain, crowbar, and reusable crate.